Treatment of alcohols with p-toluenesulfonyl chloride (TsCl) results in the formation of tosylates, which is an excellent leaving group. As we know, a hydroxyl group of alcohols is a very bad leaving group and to participate in elimination and substitution reactions it must be modified into a better leaving group. 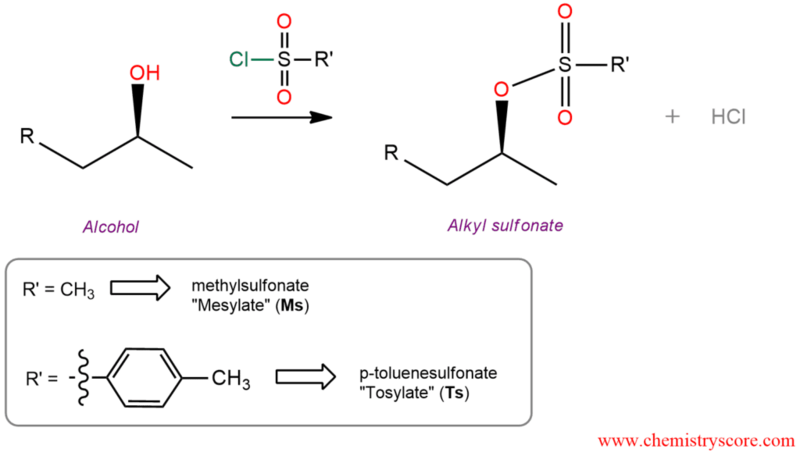 Thus, alcohols can be converted to tosylates and mesylates which is a very good leaving group. Most common reagents for this are mesyl chloride, abbreviated MsCl and tosyl chloride, abbreviated TsCl. Alcohols are converted to alkyl tosylates by treatment with p-toluenesulfonyl chloride (TsCl) in the presence of pyridine. A lone pair of an electron on the alcohol attacks sulfur and it expels chlorine ion. In the next step, pyridine deprotonates positively charged oxygen atom to form alkyl tosylate. 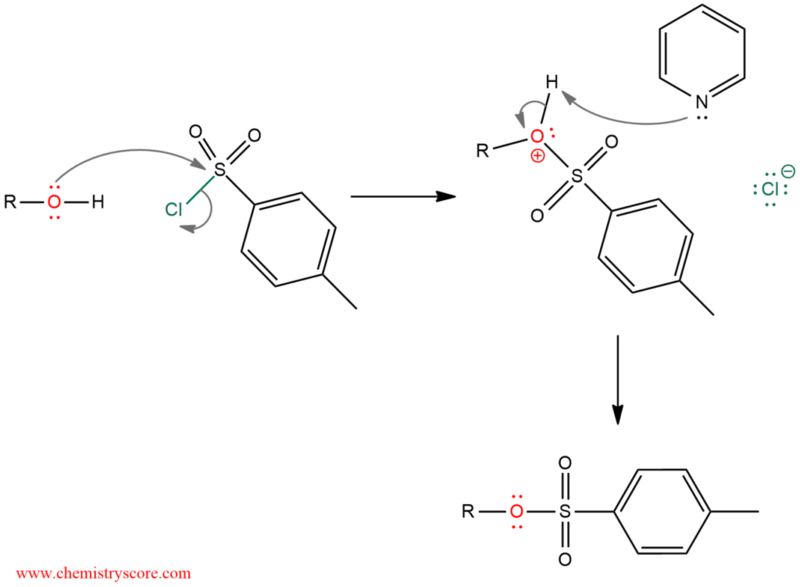 Alcohols converted to its tosylates with retention of configuration at the chiral atom. Thus, the carbon-oxygen bond of the alcohol must not be broken when tosylate is formed. 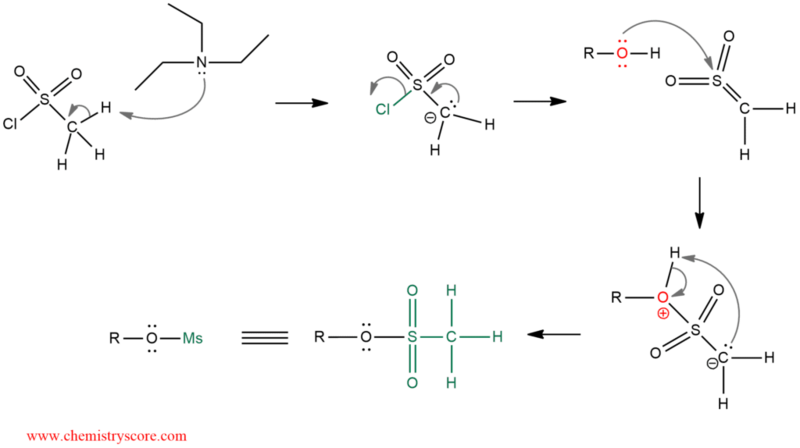 The same reaction takes place with methanesulfonate in triethylamine, in which also no rearrangement and no inversion of configuration.